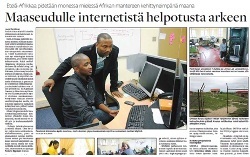 Two South African universities have developed the Siyakhula Living Lab project that has brought computers and internet access to poor rural areas. In the undertaking it’s being studied if internet access in rural communities will help to create new sources of livelihood and better the standard of living – and so far the results have been positive. 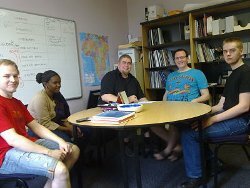 A group of four students from the Metropolia University of Applied Sciences in Helsinki Finland, have just arrived in Grahamstown, for a 3-month internship at Reed House Systems (RHS). The internship is an integral part of their curriculum.The scholars were photographed with Ms Grace Mbwete, and they are (from left) Eetu Vainio, Ville Kalima, Aksu Weide and Juha Pesonen. Given their expertise in marketing and communication, their task while at RHS will be on improving tools for the marketing of RHS, its products – the teleweaver, and associated structures, primarily the Siyakhula Living Lab. Welcome to South Africa, guys! 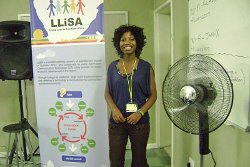 The 2nd Annual Living Lab in Southern Africa (LLiSA) conference was held on the 1st and 2nd March 2011, and was hosted by RLabs at their Bridgetown premises in Capetown. The theme of this year’s conference was Sustainability and Evaluation of Living Labs. Approximately 30 people attended the event. 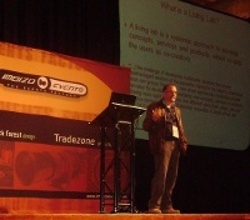 On the 17th of August 2010, Imbizo Events in partnership with the Black IT Forum hosted the prestigious 6th Annual Eastern Cape ICT Summit and Gala dinner. This event was held at the Feather Market Convention Centre in Port Elizabeth, Nelson Mandela Bay. 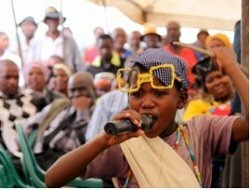 The theme of 2010’s summit was entitled “Using ICT as a catalyst for rural development and land reform”, and attracted a crowd of about 200 delegates. Sponsors for the event were the Nelson Mandela Bay Municipality, Cisco, Vodacom Business, Dimension Data, Business Connexion, K-log and IT Web. On the 5th of February, several hundred community members of the Mbashe Region (near Dwesa Nature Reserve), staff and students from Rhodes and Fort Hare Universities as well as representatives from industry and government took part in the launch of the Digital Access Node (DAN) at Ngwane Junior Secondary School in the former homeland of Transkei, in the Eastern Cape. The DAN is a point-of-presence of the Siyakhula Living Lab, active in the Mbashe region. The day included speeches given by members of academia, the provincial and district education departments and members of the community. The day also featured song and dance performances by local school children.